Just days after he accepted the prestigious ACM-Infosys Foundation Award, University of California San Diego professor Stefan Savage received another honor: the UC San Diego Jacobs School of Engineering announced that Savage has been awarded an endowed faculty chair named for two of the school’s major donors: the Irwin Mark and Joan Klein Jacobs Chair in Information and Computer Science. The appointment of Savage to the Jacobs Chair was the second faculty chair announcement in as many weeks. Previously, CSE computer graphics and vision professor Ravi Ramamoorthi was tapped to be the inaugural holder of the Ronald L. Graham Chair of Computer Science (for details, click here for news release). The Graham Chair was named for professor Ron Graham, who recently retired but maintains an emeritus faculty position in the department. In doing so, Graham – the previous holder of the Jacobs Chair – relinquished it, thus paving the way for Stefan Savage to assume the endowed chair. 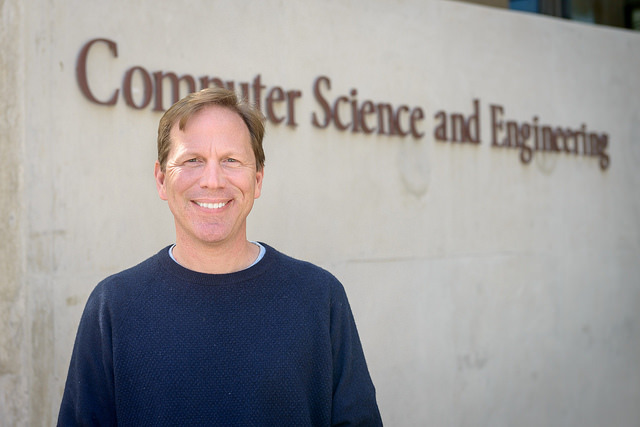 “From the moment he arrived at UC San Diego in 2001, Stefan Savage has been a star on the CSE faculty, with broad interests in systems and networking as well as security,” said CSE Chair Rajesh Gupta. 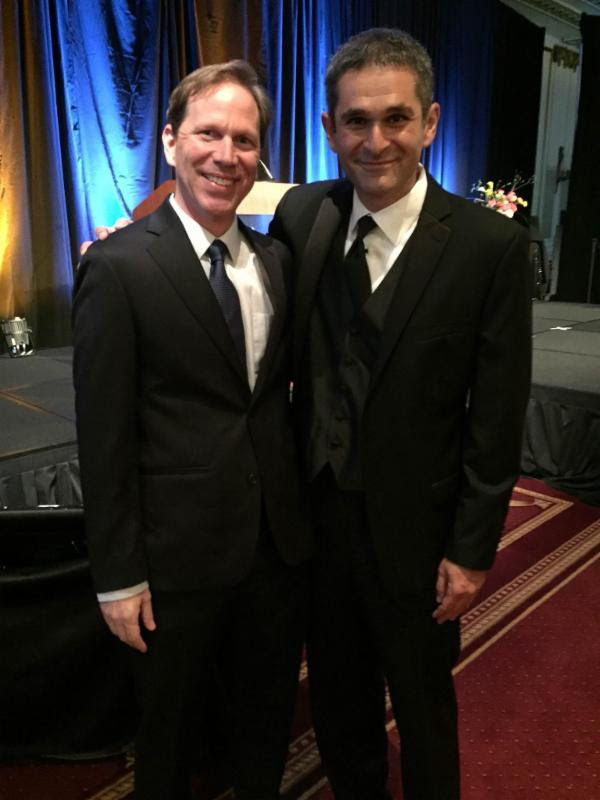 On June 11, the Association for Computing Machinery (ACM) presented Savage with the ACM-Infosys Foundation Award at its annual awards banquet in San Francisco. The honor recognized the finest recent innovations by young scientists and system developers in the computing field. The Infosys Foundation provides financial support for the $175,000 annual award. One day before he accepted the ACM-Infosys Foundation Award, Savage was in Seattle at his alma mater, the University of Washington (UW). The university’s Computer Science and Engineering department presented him on June 10 with its Alumni Achievement Award. Savage joined UC San Diego in 2000 as an acting assistant professor until he defended his dissertation at UW in January 2002. Surprisingly, Savage did not start out in computer science, much less cybersecurity. He earned his undergraduate degree in Applied History at Carnegie Mellon University. For graduate school he switched to Computer Science for his Ph.D. at UW under advisors Brian Bershad and Tom Anderson. It was already clear at that point that Savage would be able to write his own ticket in academia. He received job offers from Carnegie Mellon, Cornell, MIT, Stanford, UC Berkeley and UC San Diego, plus several others. He says that he picked UC San Diego because it was the best “cultural fit”. “My research career has been idiosyncratic to say the least and I have been incredibly lucky to not only have colleagues who are intellectually broad and curious, but also an administration that understands the value of supporting those qualities,” noted Savage. Much of Savage’s early research focused on operating systems. 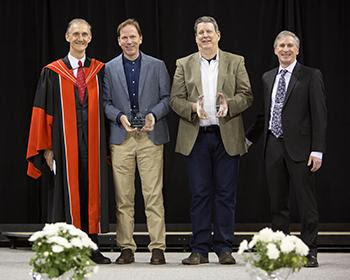 In 2010 ACM named him a Fellow of the association, citing his “contributions to large-scale systems and network security.” Then in 2013, ACM honored him again with the ACM SIGOPS Mark Weiser Award – referring specifically to his creativity and innovation in operating systems research. He then turned his attention to battling cyber drug crime and shutting down counterfeit software sales by tracking the flow of money to the source. In one high-profile study, Savage and colleagues determined that, for each $100 purchase of Viagra in response to a spam email, spammers needed to send approximately 12 million emails – but that spammers could still make a profit due to very low costs. Savage also co-founded several research centers to pursue work on security. The Center for Automotive Embedded Systems focused on the growing concentration of electronics in the automotive sector. He also led the Collaborative Center for Internet Epidemiology and Defense (CCIED) to find new ways to defend against Internet attacks. (The center, funded by a National Science Foundation CyberTrust grant, was a partnership with the International Computer Science Institute (ICSI) at Berkeley.) After the completion of the CCIED project, Savage and his counterpart at ICSI set up an interdisciplinary research partnership in 2012 with former CSE postdoctoral researcher Damon McCoy, now a professor at New York University. Their Center for Evidence-Based Security Research (CESR) is funded by NSF through its Secure and Trustworthy Cyberspace program, through 2017, with additional funds coming from industry partners. In addition to co-leading the highly successful Center for Networked Systems (CNS), Savage also leads the security and cryptography group at UCSD and is an active collaborator with Peter Cowhey in the School of Global Policy and Strategy (GPS) on security policy. With Cowhey, he also co-teaches a popular course on security policy. Among his other distinctions, Savage was awarded a faculty research fellowship from the Alfred P. Sloan Foundation (2004). To date, he has published more than 130 peer-reviewed journal articles and conference papers on topics as diverse as the economics of e-crime, characterizing availability, automotive systems and security, routing protocols, and data center virtualization. Click here to read the full news release on the CSE website.